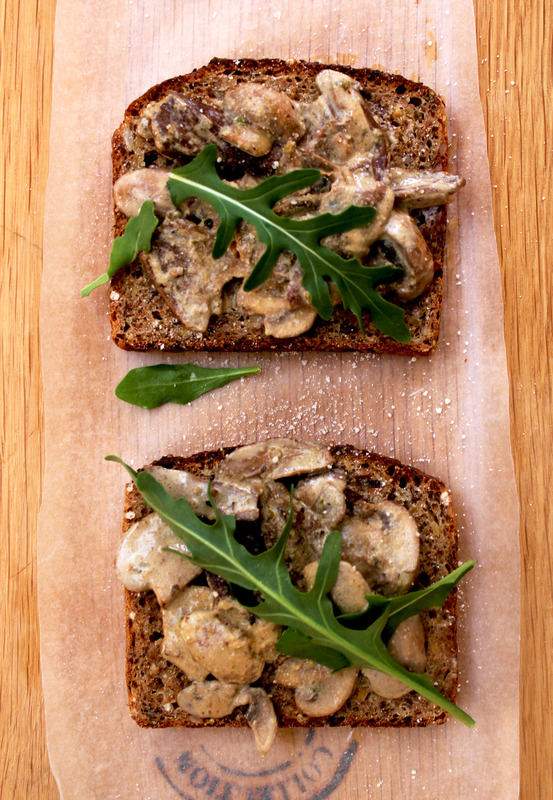 Since she’s away, I thought I’d go ahead with my ‘shrooms on toast plan! Please, feel free to use any mushrooms that you can get your hands on. I just like to mix two different types to add depth to the flavour. Slice the fresh mushrooms to a thickness of your preference. Sometimes I like to keep mine a bit chunky as they shrink when cooked. Spread a bit of butter (if you’re feeling generous, a good teaspoon will do:) ) on each slice of toast and grill in the oven for about 10 minutes. While the toast is under the grill, heat the olive oil in a shallow pan. Add the chilli , black pepper and nutmeg and fry until sizzling. Drain the mushrooms, and cook for 10 minutes. Make sure that the mushrooms do not crowd each other, otherwise you will land up with a soggy mess for breakfast. Gently stir in the cream and simmer for another 2 minutes. Stir in the parmesan cheese and remove from the heat. 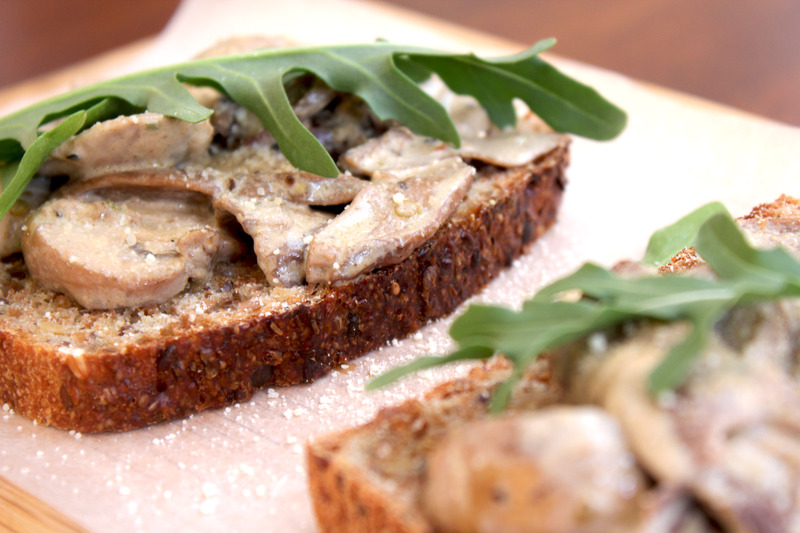 Pile up the delicious creamy mushrooms onto crispy grilled toast, and top with fresh rocket or basil leaves. Be sure to add another sprinkle of parmesan! P.S: Feel free to use any variety of mushrooms, even simple button mushrooms found at regular grocery stores.